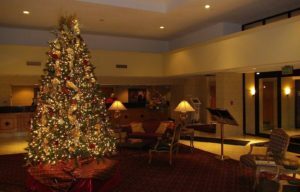 Hotel Fort Wayne (www.hotelftwaynein.com) , 305 East Washington Center Road, Fort Wayne, IN 46825, ph: 260-484-0411, email: info@hotelftwaynein.com) provides a balanced offering of work/play and family fun. The Indoor/Outdoor pool is very popular with families and children while the complimentary Wi-Fi and business center keep guests in touch with business matters or social media. The facility is conveniently located 5 miles north of downtown Fort Wayne and is alongside I-69 for those just passing through. Hotel Fort Wayne is well managed with professional, knowledgeable and super friendly staff. The Red River Restaurant in the lobby area has an exceptional breakfast buffet – A must for all guests. There is plenty of self-parking around the entire hotel allowing guests to park close to their room for convenience. 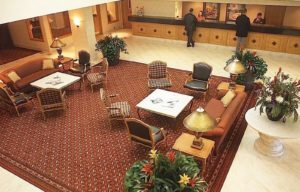 The hotel boasts eleven state-of-the-art meeting rooms and can accommodate up to 1,000 guests for corporate or social functions. There is also guest laundry and dry cleaning, a fitness center, a sundries shop. There are also pet-friendly rooms for a $50 fee. Take advantage of what downtown Fort Wayne offers. Locals enjoy supporting their baseball team, the Fort Wayne TinCaps at Parkview Field, arguably the best minor league ballpark in the country. Go hungry as there is plenty of great food and lots of family fun. You also want to make time for Fort Wayne’s Famous Coney Island Wiener Stand just down the street and around the corner from Parkview Field. Coney Island opened in 1914 and has made very little changes to their first ever menu – great quality hot dogs with steamed buns. Another premier Fort Wayne attraction is the Genealogy Center at the Allen County Public Library. This collection is the second largest in the United States, but is the largest public library collection. The Genealogy Center has data from the United States and Europe and is continuing to grow its collection of information. Library patrons may check-in for access to one of the many computers to start searches or start where they left off last time around. For those that enjoy tracking their ancestry, watch out, you can spend months here and never run out of data to research. 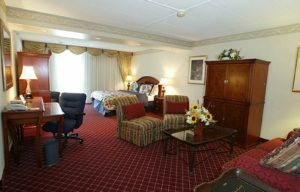 All in all, Hotel Fort Wayne is a highly recommended choice for those that want to experience everything Fort Wayne has to offer. Their charming staff can make recommendations, arrangements and point you in the right direction.